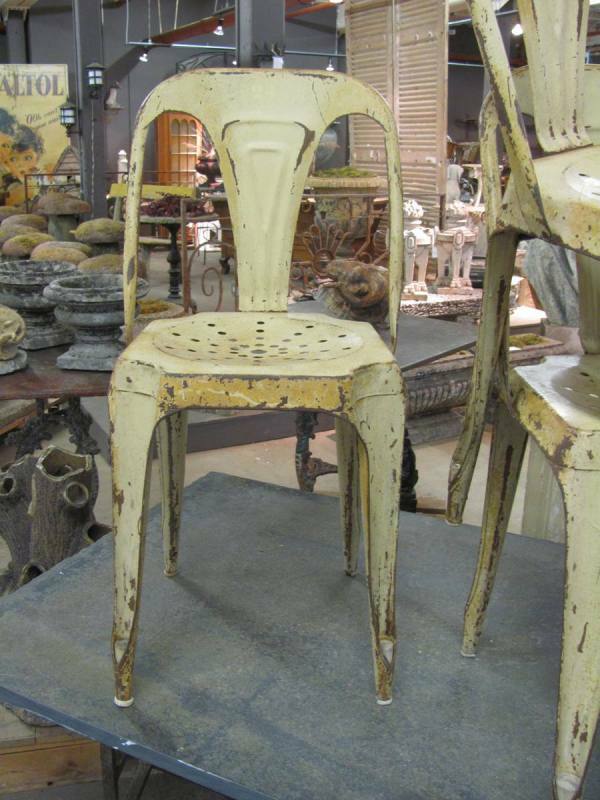 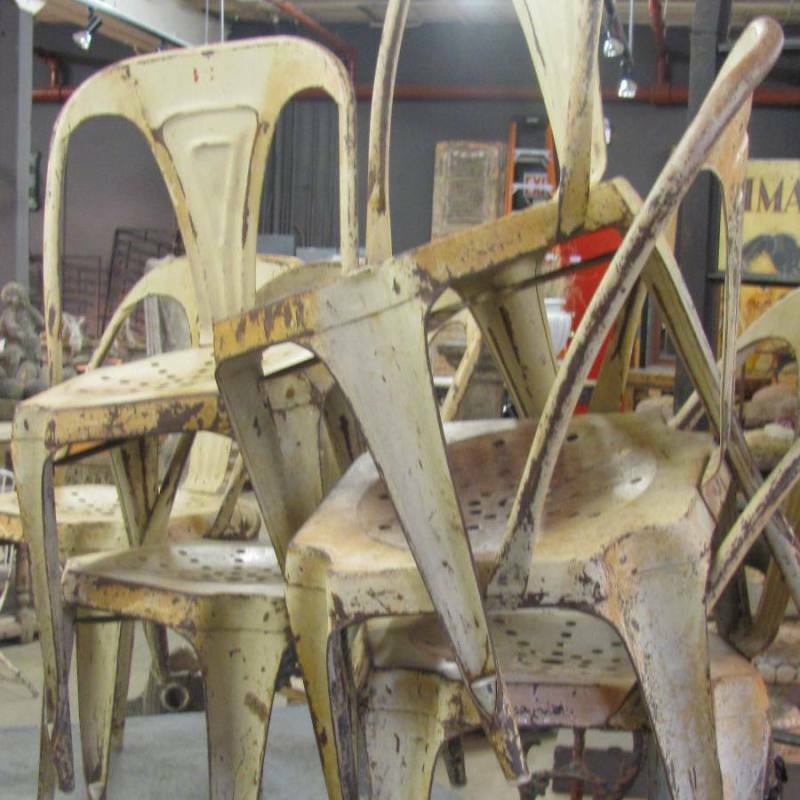 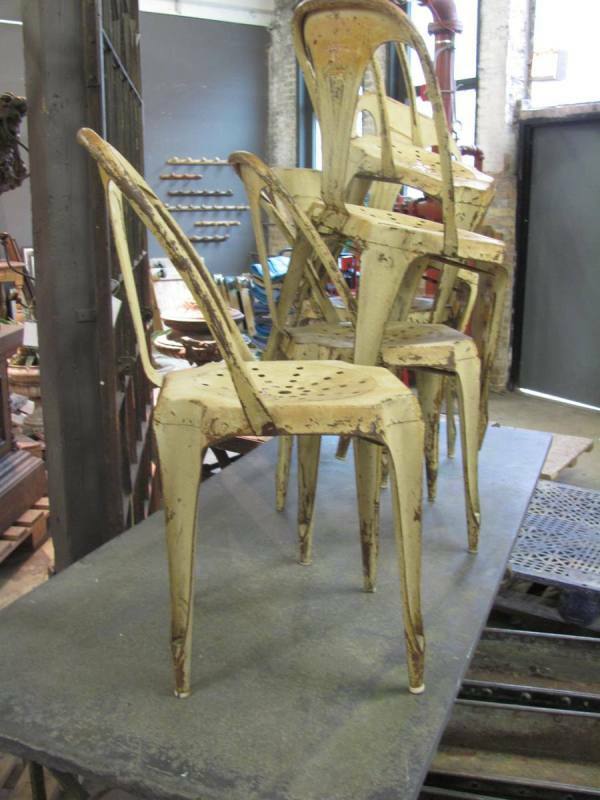 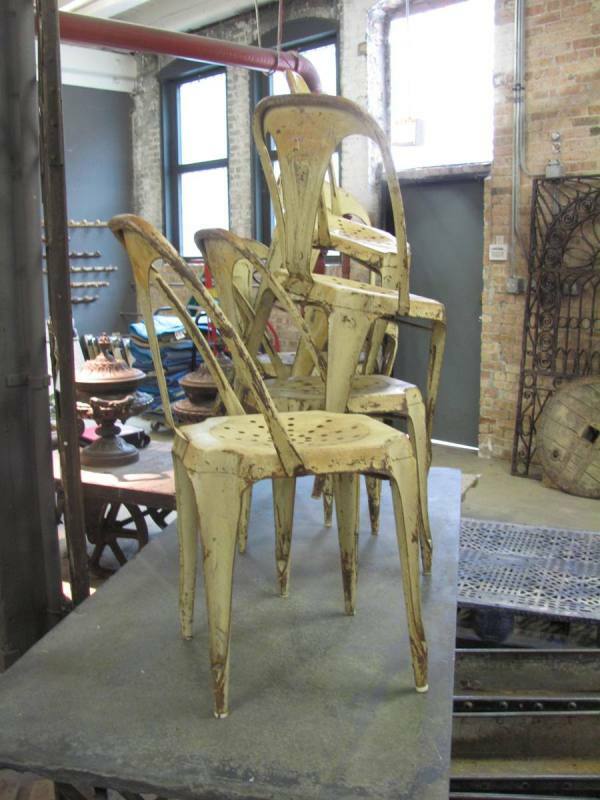 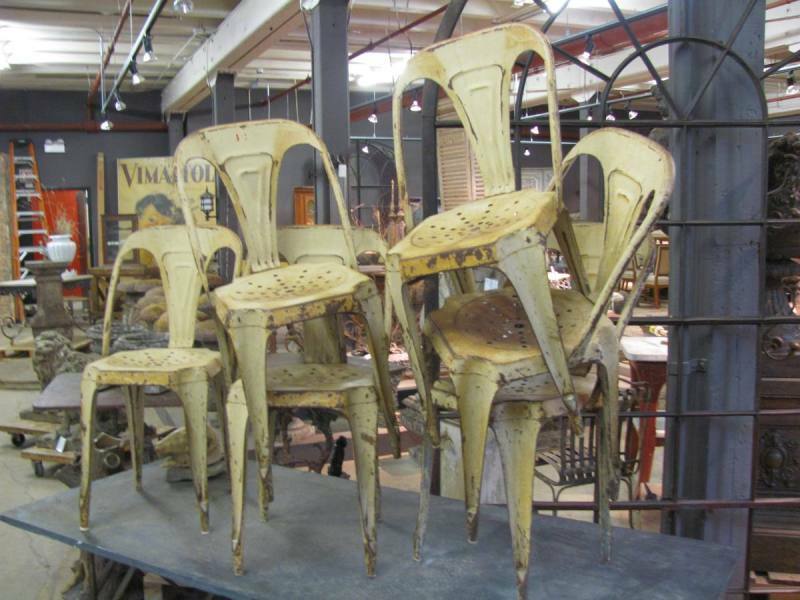 A set of six 1930�s Tolix stacking metal chairs in original yellow finish. 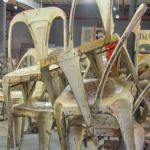 Designed in 1934, by Xavier Pauchard (1880-1948) a pioneer in the use of galvanized sheet metal in the production of of chairs, tables and stools. 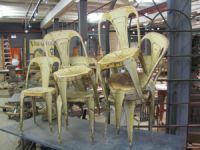 Originally used in factories, offices and hospitals where its lightweight, stable and durable structure made it ideal, this popular form also appeared widely in bistros, gardens and even on the ocean liner Normandie.